There is only one company in Des Moines, Iowa, from which you can buy a TEMO sunroom, and that’s U.S. Patio Systems and Home Remodeling. We sell TEMO sunrooms because they are sturdily crafted, low-maintenance structures that come in various designs to go with just about any style of home architecture. By having a TEMO sunroom added on to your home, you will enjoy extra square footage along with the ability to appreciate your natural surroundings without the risk of being rained on or chased inside by mosquitoes. 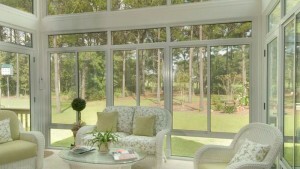 Studio – The most popular model that TEMO manufactures, this versatile sunroom can be built with one, two, or three walls. California – The California has a split-level roof and floor-to-ceiling windows for maximum sunlight penetration. Conservatory – The Conservatory is inspired by old world architecture and is available in either a square or faceted configuration. Solarium – TEMO’s Solarium sunroom has glass walls and a thermal glass ceiling. As such, it lets in the most sunlight of any TEMO product. Cathedral – This sun room features a dramatic vaulted ceiling that offers panoramic views. Walls Only – This sun room is designed to enclose a pre-existing covered patio with floor-to-ceiling tempered windows for year-round so that it can be enjoyed year round. For more information, contact U.S. Patio Systems and Home Remodeling, a TEMO sunroom dealer serving Des Moines, Iowa, and other Midwest cities. We also install TEMO patio covers and TEMO pergolas, as well as specialize in basement finishing and walk-in bathtub installation.